4-disk series that focuses on the historical setting of the Corinthian letters. 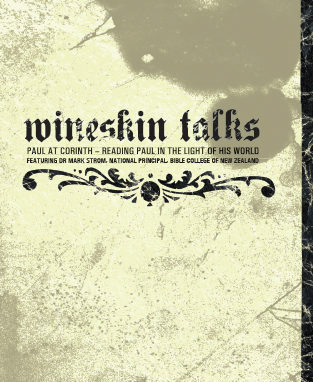 In Paul at Corinth, Dr Mark Strom focuses on the historical setting of the Corinthian letters, leading the audience through discussions on what life was like for the Corinthian Christians in the first century. An exciting look at the life of a real first century man, Paul,writing to real friends (and enemies), in a real city. Capture a picture of Corinthian life and what I meant to be confronted with theextraordinary story of Jesus Christ that brings alive the samechallenges for us today. Visit Amazon.com if you wish to purchase Dr Mark Strom's book Reframing Paul: Conversations in Grace & Community.